By this point, it shouldn’t come as a surprise that Korean talent agency Core Contents Media is undoubtedly perhaps the most notorious company to exist in the history of Korea’s modern culture and in the idol community — all thanks to the inexplicable incompetence and unethical practices of its CEO, Kim Kwang-soo, who can be arguably considered the Satan of the K-pop or heck, even the Hallyu Wave as a whole. This can be traced back as early as early-mid 2009, starting with then-SeeYa member Nam Gyuri, who had severe contract issues which boiled down to Nam herself being publicly slandered via the media and ultimately referring to Kim Kwang-soo himself as a ‘devil’. Since then, she has been relatively quiet and perhaps even stale in her career. 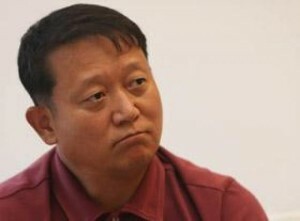 And of course, there’s the infamy connected with T-ara, in which constant overwhelming amounts of pressure on the group (from public threats, unreasonable work hours, adding new members who probably weren’t actually needed) eventually broke into one of K-pop 2012’s biggest scandals, one which cost both CCM and T-ara tremendously in the short and long-term run. Numerous mistakes and blunders were made on CCM’s part, much of it pertaining to the extremely dreadful PR handling and complete lack of tact by pushing T-ara to continue with its activities despite the immense negativity surrounding the group — and most definitely, the largest factor that contributed to the group from one of the rapidly rising girl groups in K-pop to the most hated. And it doesn’t stop there. 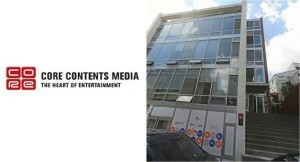 Allegations of Core Contents Media bribing media outlets such as Newsen to write positively of T-ara are not unheard of (while also writing negatively on groups such as KARA) and for certain, anyone following K-pop news should be well aware that the label’s use of media play to the extreme, even exceeding that of YG Entertainment. In recent news however, it appears that CCM has crossed the line in terms of relations with the media in a degree that’s rather brutish in nature. Known media outlet Sports Seoul reported that during the midst of a press conference regarding T-ara N4′s supposed advance into the US market, the label actually attempted to ‘coach’ the journalists of various media outlets attending the conference to write their articles in a certain way. To put it simply, the agency was more or less trying to somehow get the reporters in the scene to write their content that is favorable to themselves only. Sounds like trying to restrict freedom of press, doesn’t it? Little did it know however, that media outlet Sports Seoul also was attending the conference and subsequently released six articles related to the conference, in which one of them added a mild critical comment that the conference in general wasn’t exactly met with high enthusiasm in comparison to those held by the Wonder Girls and Psy‘s promotions in the US. Which does sound fairly logical, considering that T-ara N4’s advance has been met with skepticism that it’s more than likely a media stunt, not to mention that a girl group with a tarnished reputation at their home country ‘collaborating’ with a rapper with a history of violence and domestic abuse isn’t exactly something to be excited about. What is even more ridiculous is that the representative told us, “The CEO is angered,” as one of the reasons that we must edit the article. 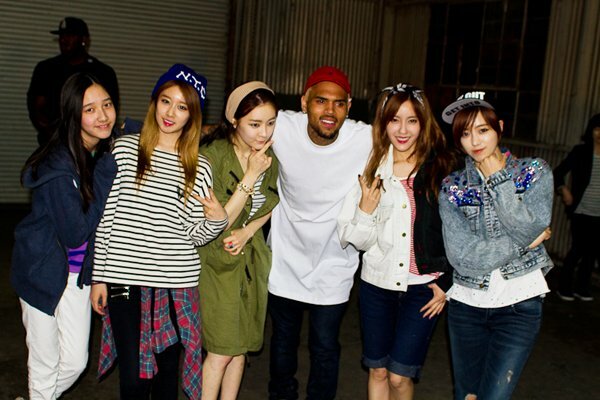 Although T-ara N4’s American advancement and their collaboration with Chris Brown is something to anticipate, one cannot ignore the fact that both the public and the media simply don’t care. Moreover, there hasn’t been much to report on it anyway considering that they had a five day meeting in America. …The next day, a representative of Core Contents Media came to our editor’s office and started swearing at all of our journalists. This crossed the line. We are at a loss for words at their actions. If they can act like this to us, a media outlet, then we can only imagine how they must be to other companies and fans. It honestly worries us. Looking at Sports Seoul’s track record in journalism so far, it can be definitely said that the outlet, much like any Korean media outlet, has had its own share of poor journalism, most notably in making an article on rumors regarding Miss A member Suzy, with its source being that from an anonymous netizen who was proved to be merely defaming her with false information, not to mention it holds a particular rivalry with Dispatch, especially when it comes down to revealing idol couples. Although there may be some certainty that Sports Seoul could have made some over-exaggeration on its own, regardless, for CCM to just barge into the outlet’s office and then suddenly cuss out at the present staff complaining that they didn’t write the article in a favorable way that the agency wanted sounds awfully far-fetched, rude, unprofessional and even brings out the possible scream of the dreaded word among the press – ‘censorship’. Whatever made CCM feel it was even necessary to engage in such conduct, it nonetheless has given Sports Seoul a bigger reason to possibly write more articles that are not going to be positive of anything related to the agency in the future, with a possible media war between the two. Further, it revealed that CCM is more or less confirmed to ‘coach’ journalists to write articles in a manner it desires with littler tolerance of freedom but also that it still is lacking and maybe even failing to respect the boundaries between itself and the media. After all, with its long string of media play and constant use of the press to make itself look favorable, it seems that reality has only just hit Kim Kwang-soo and his company right in the face. Messing around with your idols and company is one thing, but messing around with the media is a whole different ballgame, Mr. Kim. Clearly, you have not learnt your lesson from last year’s fiasco.